Tout neuf à Luxury Beach Rentals, cette suite de 3 chambres / 3 salles de bains au 9ème étage est en bord de mer et offre des vues spectaculaires sur l'Atlantique bleu. Ce condo offre une chambre principale en bord de mer avec lit king et accès à l'immense balcon en bord de mer. La salle de bain principale offre des comptoirs en granit, double vasques, une grande douche de plain-pied et un sol carrelé. La deuxième chambre offre deux lits queen, la troisième chambre offre un lit queen. Les autres caractéristiques comprennent une télévision à écran plat, laveuse et sécheuse, et une cuisine entièrement équipée avec des comptoirs en granit, ce condo crée un grand et spacieux séjour pour vous et vos invités. La station est située au coeur du Grand Strand dans une section familiale de la plage. Les activités sur le site comprennent les piscines intérieure et extérieure, qui comprennent une rivière artificielle, 2 piscines, 4 bains à remous et une pataugeoire pour enfants, le tout donnant sur la plage, ainsi qu’un centre de remise en forme et une pelouse chauffante. * Les mises à jour 2019 incluent de nouveaux matelas, une télévision plus grande dans le salon, de nouveaux ventilateurs de plafond et de la peinture. - Nous avons deux chaises de plage et un parasol réservés sur la plage chaque jour pour nos clients (valeur de 200 $). Ceux-ci sont disponibles du 1er avril à fin septembre. - Forfait Linge de luxe inclus! - Ceci est une unité non-fumeur. - dépôt de 25% pour faire une réservation et le paiement intégral dû 30 jours avant la date d'arrivée. - Pas de motos, de remorques ou d'animaux domestiques admis sur les lieux. The unit had a great view, very clean and it felt like home. Would for sure stay there again !!! This was the nicest condo we have ever stayed in and we have been in a lot! Everything was comfortable, clean, easy to use. We loved every minute of our stay and wished it were longer. The unit is spacious and well-equipped. I highly recommend it. The management company was professional and easy to communicate with as well. The room and location were perfect for our golf trip. no issues, everything was as expected. This place was very well appointed and had all the comforts of home. The rooms were clean and spacious. The view was unbeatable. The parking was convenient. Thank you for sharing your home. 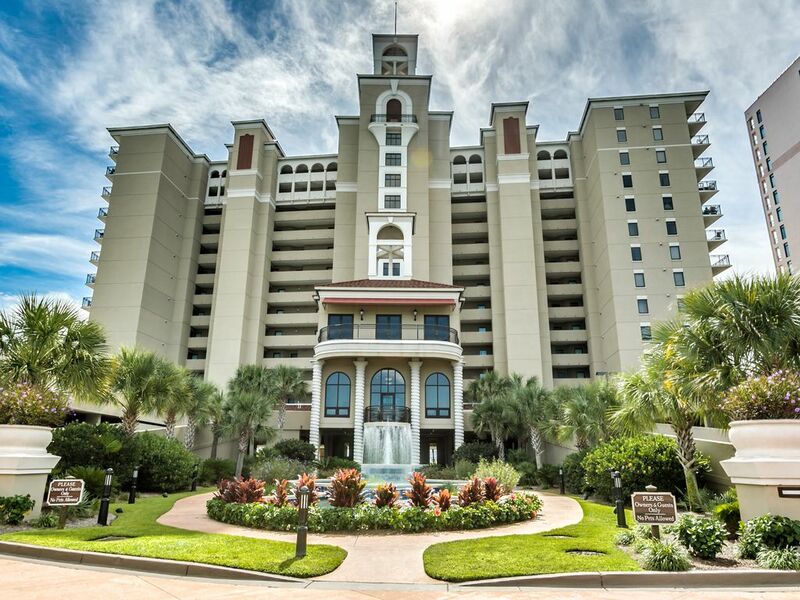 From the time we drove up to the Southwind on Myrtle Beach, I was impressed and convinced I made the right decision. The condominium was beautifully appointed, clean, well stocked with every necessary amenity and the view was unparalleled. My family had a wonderful time and I would highly recommend this property to anyone interested in a stay on Myrtle Beach. I also liked that it was close to all of the action, but still far enough off of the beaten path on Ocean Boulevard to enjoy the peace and quiet with only a short walk or drive to access all of the restaurants and attractions. 5-star across the board. The unit overall was nice. We had 6 adults, a teenager, and a baby; and we never felt cramped. So there was space, plenty of seating, and a nice view of the ocean. Up until we went to bed the first night, I would have given the combination of space, amenities, and price 5 stars. But then I climbed into the terrible facsimile of a bed that served as my nightly torture. The mattress felt like a plywood box with a 1 foam topper. Then the pillows had zero support and just smooshed completely flat when you laid your head on them. I could not get comfortable it took me forever to fall asleep, and when I woke up my sciatica had been inflamed and I was sore and in pain Same thing the second night. Everyone in the unit had the same complaint. It was so bad I couldn't face the prospect of another sleepless night so we packed up and left early so we could sleep in our own beds. We were paying such a low rate since it was January that I feel only inconvenienced, but if we had been paying full freight over the peak season, I would have been seriously angry. If there was a different unit in this building that had better beds, I would gladly stay again, but I wouldn't go back to this unit. Maybe others sleep on the stone floor of their cave and would enjoy the ultra-firm mattresses, but not I.